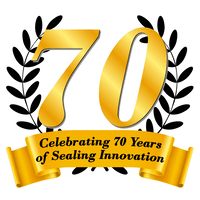 APM Hexseal Celebrates 71st Year of Business with Changes to Organization » HHP Associates, Inc.
APM Hexseal, now in its 71st year of business, is celebrating some significant changes in the organization. Susanna Morse, granddaughter of co-founders Milton and Riva Morse, will be stepping into a leadership role, guiding the direction and development of the company. Morse is the 3rd generation to occupy a strategic role at APM Hexseal and is joined by her mother, Carol Morse, in defining the vision and plan for the company as we look towards the future. After 25 years of service, General Manager Bill Foster has retired, and we are very pleased to announce that Russ Wheeler will be assuming the position of General Manager at APM Hexseal. Wheeler holds a degree in Nuclear Engineering from the University of California and began his career as a Design Engineer, creating state of the art components for Electronic Warfare sub-systems. Wheeler has over 23 years of defense and aerospace manufacturing experience with companies like Watkins Johnson, Litton and Crane. He also spent 15 years in the optical networking business, supplying solutions for broadband internet service and cell telephone providers such as Verizon, Comcast and Time Warner. Most recently, Wheeler was COO at a New Jersey medical device company with a global customer base and a worldwide supply chain focused in China. Rounding out the leadership team are Jackie Hackett, assuming the role of Sr. Director of Global Sales and Marketing, Frank Konchalski, who will serve as Sr. Director of Engineering and Quality, and Ken Foster, who continues in his role as VP of Operations. Please join us in congratulating the leadership team at APM Hexseal and the Morse Family.